It is recognized that the most important asset in any organization, large or small is its Human Capital. The basic life force provides the organization its drive, energy and results. Given the importance of human resource, there are comprehensive legislation and the necessary authorities that regulate this to ensure the proper management of human resources within organizations. Unknown to some, violations against the legislation of the day can result in costly penalties and also unnecessary negative publicity. With so much at stake, both from an asset management perspective in your resource and liability management in adhering to the law, it is only logical to invest in a system, such as Sage UBS Payroll to save your records in an orderly manner according to statutory, as well as your organizational requirements. This will increase your efficiency and productivity in dealing with resource and payroll issues. 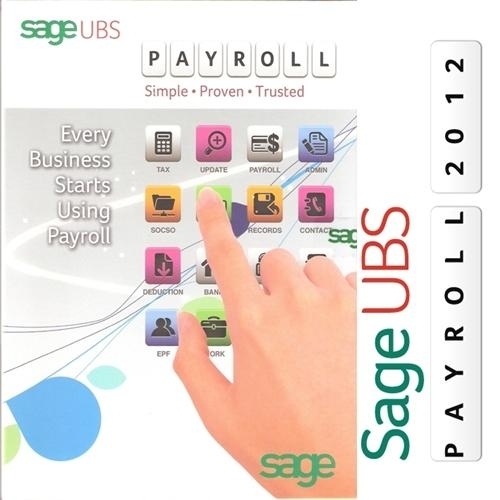 Sage UBS Payroll comes in 2 separate packages, Sage UBS Payroll Start and Sage UBS Payroll 2012. Both are packaged to suit individual needs. 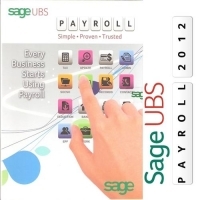 Sage UBS Payroll Start is for a setup with up to 10 employees whilst Sage UBS Payroll 2012 is bundled with HRM and ready to fit 25 employees. It is scalable by multiples of 25 or 50 employees to meet your business and workforce growth as well as have you invested well protected. Inclusive in the software are 17 professionally written and designed templates while will be able to assist you in executing the basic requirement and administration of Human Capital with ease and speed. Just click on the appropriate letter template, make the necessary changes, save and print - it is just that SIMPLE! This will ease the nightmares of drafting HR letters, employment contracts and other documentations that refer to basic HR matters. The templates also assist to improve the standard and professionalism of the organization in the administration of Human Capital. #UBS Payroll 2012 comes with 25 employees. #With One Year Sage Cover. **Price exclude Training, Installation & Support.